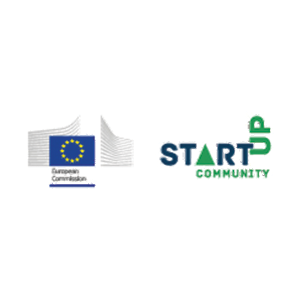 Start-Up Communities is a EU partnership project designed to identify core and innovative learning and delivery components of a service/programme/community that best encourages, inspires, supports and enables successful start-ups and entrepreneurs through life-long learning relevant and desirable for employability, enterprise and collaboration. Involving 14 from United Kingdom, Turkey, Cyprus, Germany, Finland, Bulgaria, Sweden, Spain, France, Italy and Portugal, represented by Mentortec, the project will present best practice, case studies, lessons learnt and future opportunities for entrepreneurs and will design a simple Start-Up Community model based on our findings to guide new Start-Up Communities across EU. The development of this model has involved research into or collaboration with a wide range of organisations representing nearly all members of the entrepreneurial ecosystem – this has included business angel networks, national government departments, early stage entrepreneurs and multinational organizations. The model that follows is appropriate for all members of this ecosystem. Different components will prove interesting for different audiences, and how the model is used will differ greatly too. Nonetheless, it is a simple, clear and interesting snapshot of a few elements that can start, grow and sustain a successful Start-Up Community. The main result of this project is a Start-Up Community model.